Pendant stations LADY series – Ravioli S.p.A. 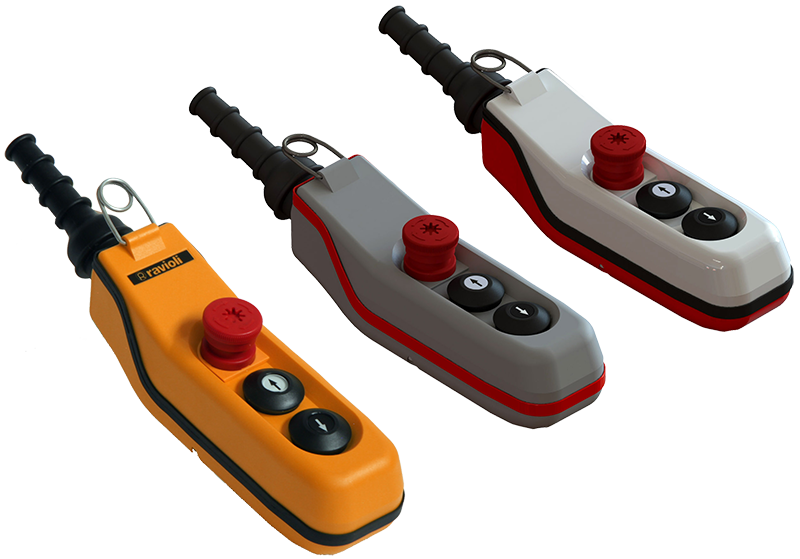 Particularly resistant and therefore also suitable for applications in severe circumstances, Ravioli push-button pendant stations for auxiliary circuits series Lady are built in robust material and with an ergonomic design. Self-cleaning switches can be also supplies as spare parts; all buttons are marked with international symbols. 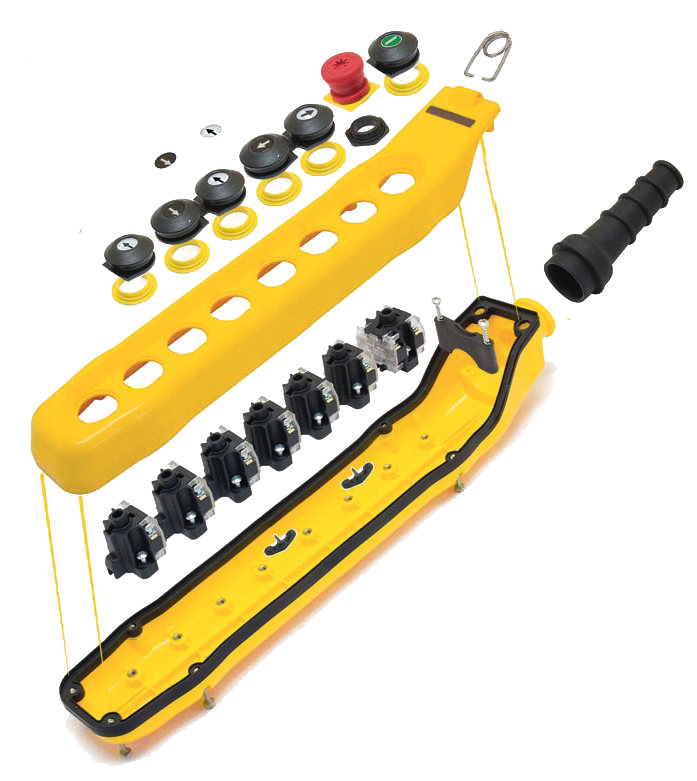 Lady series includes 8 different sizes – from 2 to 12 buttons – and several accessories and options, like emergency stops, dead man enabling switch, key and lever selectors, pilot lamps, connection bridges for an easier cabling. This allows Ravioli Lady Pendant Stations to be highly personalised according to the requirements and needs of our clients. 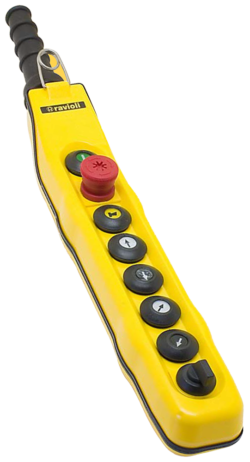 From the latest version with 5 buttons, which allows a more comfortable use and manageability, to the possibility – upon request – of providing the new Lady Pendant Stations with a new emergency button in 3 positions which, in case of need, operates as security emergency button both when totally released in position 1 and totally pressed in position 3. Ravioli is also able to provide the new Lady in different colours or combinations of colours – among a designed range of solution designed only for you – according to your specific requests. The complete range of Lady Push pendant stations is now available also in CCC marked version, suitable for the Chinese market and perfectly responding the existing regulations.